Hi there and happy Friday!!! Today it’s a very quick visit to show what I am entering over at the CAS-ology Cue Card Challenge for this week, the cue card being ‘silly’. 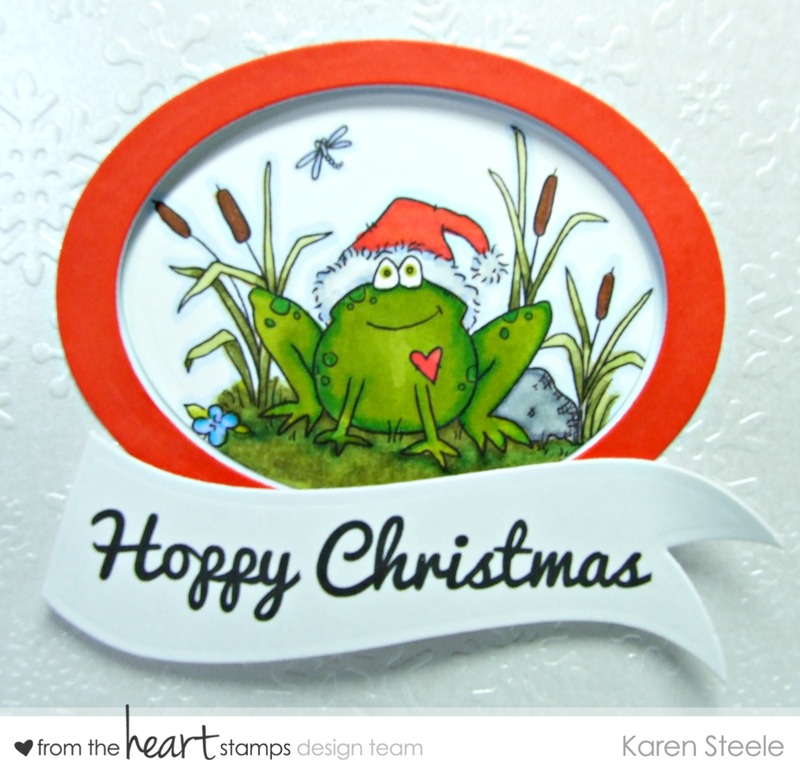 I have used this cute, funny little frog digital image called Hoppy Christmas available at From the Heart Stamps. I have also used Centura Pearl card, Spectrum Noirs, Spellbinders oval and banner die and an X-Cut Snowflake embossing folder. < Previous ‘Heart Bandit – You Stole my Heart’…..
Fab card! That burst of red really makes everything pop! Outstanding coloring too… What type of cardstock do you color on? Awww…super CUTE! Love the frog with the heart and fun sentiment! OH, I am cracking up. This christmas frog with his stocking cap is adorable. Thanks so much for playing along at CASology this week. What a cute image and lovely colouring! Thank you for sharing with us at CASology this week! Super cute! 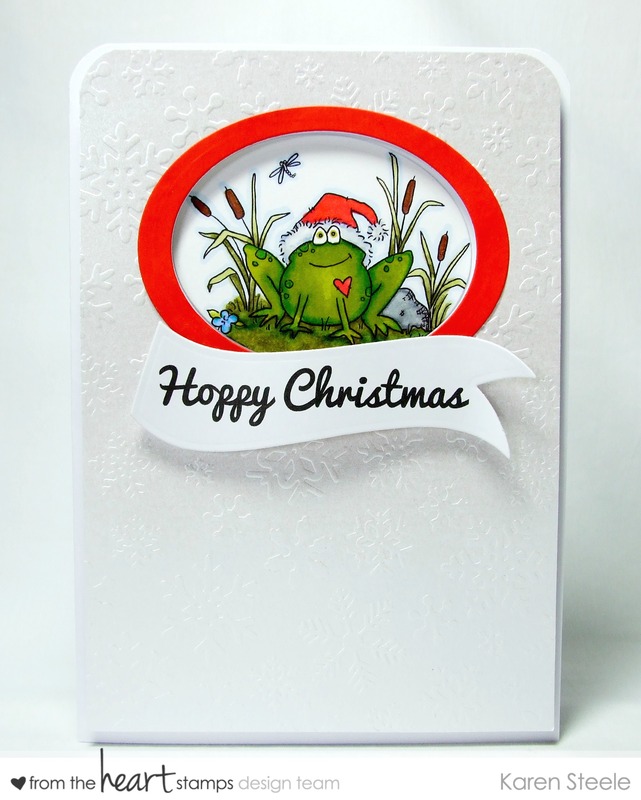 Love the Xmas Froggy and fabulous clean design! So gorgeous how the colors just pop off all the white! I LOVE this card! Sorry it’s taken me a while to get around and comment but I was on a business trip then had to write a report. I love the embossed background and the white space and the pop of red and the great colored frog – I love it all! Oh my word, what a fun and cute Christmas card!! LOVE it, Karen! !